These days the word “green” is not used only with agriculture but with other technology too. Multinational companies of IT industry have come to a point that they should make computer that is environment friendly. It is called “Green computing”, reduced use of power consumption that is good for our life. There are thousands computers manufacturing every day worldwide and increasing day by day. These machines using power directly to operate itself and keeping cook, need more electricity. Scientists are trying to reduce use of power and reduced negative impact on the environment. To save environment they take initiatives including energy efficient cooling system, recycling of factory waste, reduce utmost electricity consumption and applying alternative manufacturing raw materials that is not hazardous. The US Environment Protection Agency announced a program to recognize energy efficiency, install climate control device and other technologies in 1992. Energy Star program is one of the significant monitoring systems maintaining by computers manufacturers worldwide. IT industry leaders take lots of measured as a port of “Green Computing”. Swedish organization, The TCO development launched the TCO Certificate program to recognized low electro-magnetic emissions from CRT-based monitor. Computer manufacturing company HP already applied Green Technology program to boost more energy efficient. Recently HP take more advance program to remove toxic chemicals like lead and mercury from its products and recycling old and waste. In 2001, VIA Technologies of Taiwan, manufacturer of computer chipsets, motherboards and other products; re-design its manufacturing process to reduce use of power as an initiative for “Green Computing”. The company is using various clean-computing methods as part of green computing to have their products more environments friendly. 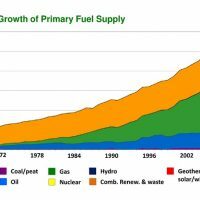 Greenhouse gases are increasing every day, as a result temperature of the world increasing rapidly. 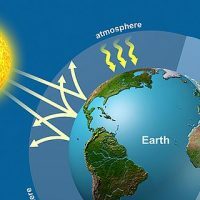 Main element of greenhouse gases are carbon dioxide (CO2), methane, nitrous, oxide and fluorocarbons is responsible for the Earth increasing temperature, which will lead flood and droughts in many regions, increasing sea water levels. That’s why VIA Technologies planned to manufacture carbon free products, they closely working with environment expert to calculate their manufactured product’s used of electricity and how much carbon exactly they able to reduce by the method. Another way, to reduce carbon dioxide (CO2) is tree plantation in the region where VIA manufactured product are purchased. VIA will pay local organizations for tree planation as a VIA’s TreeMark rating system. Dell has taken worldwide products recycling program as a good initiative of green computing. Dell is paying an extra $2 to $4 to the customers for tree plantation to their carbon emission as Me Project. The global microprocessor manufacturer company AMD is also working to reduced energy consumption of its products. The company use silicon on insulator (SOI) technology in manufacturing of products and strained silicon capping films on transistors (known as “dual stress liner” technology), have contributed to reduce power consumption in its products. We are using computers in home and offices for writing a letter or typing something that do not need very powerful machines with high configuration. If your computer is configured with high capable devices like processor, motherboards, hard disk, DVD writer, etc. these high capable devices need more power though the machine is using for normal work. Some people like keep computer open many hours without any reason, just displaying on the screen a company logo, name or some pictures. As an individual user we can reduce use of power, reduce carbon dioxide to save our environment. There are many tools to auto adjust voltage supplied to CPU such as RMClock and Prime95, this way can be reducing both the heat produced and electricity consumed. This process is called ‘undervolting’. By doing this, you can feed your Central Processing Unit (CPU) less energy while still have it running at 100%. It not only makes the Computer or Laptop more energy efficient, but also extends laptop battery life. When you purchase a computer product you can choose it by considering power consumption. Check, is there any Energy Star rating level on its body. Find the computer which one operating system saving power, automatically power turn off or sleeping mode is applicable for hard disk, monitor after set periods of inactivity, system hibernate that automatically CPU and RAM are turned off. Microsoft widely criticized until they developed Vista Operating System for basic control of power system of a computer. Then Microsoft development few software for power control such as Auto Shutdown Manager, PowerMan, Faronics Power Save, Night Watchman and Greentrac, etc. There are some branded CPUs can automatically undervolt the processor depending on the workload, this technology is called “SpeedStep” on Intel processors, PowerNow!, Cool’n’Quiet on AMD chips, and LongHaul on VIA CPUs. Every Country should take initiative to recognize reduce of power consumption as a slogan of Green Computing to save the environment and have a carbon free world.